Newswise — Turns out dads are also eating for two. A study published December 3 in Cell Metabolism reveals that a man's weight affects the heritable information contained in sperm. 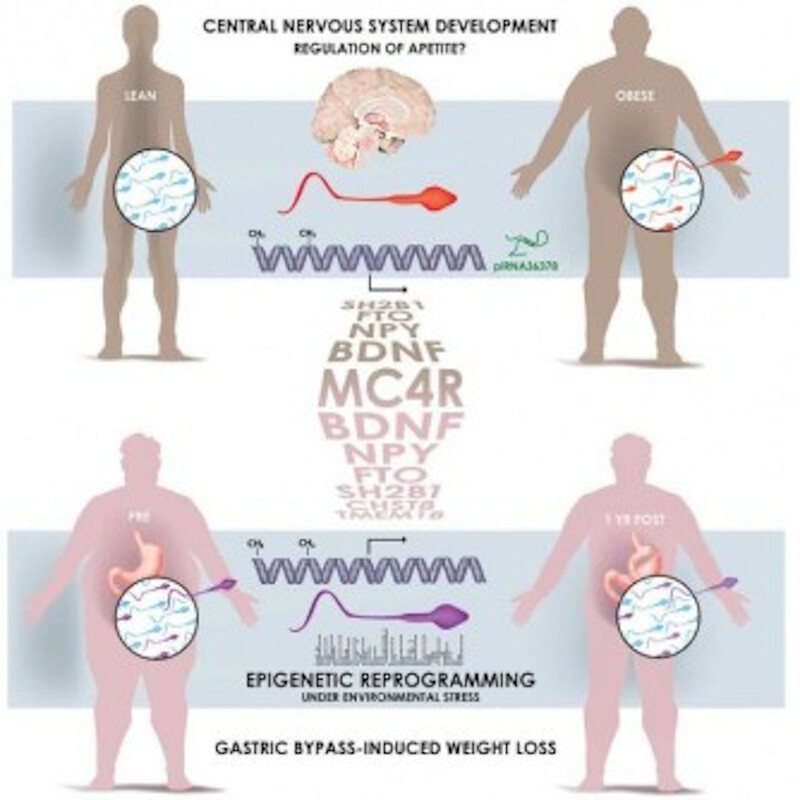 The sperm cells of lean and obese men possess different epigenetic marks, notable at gene regions associated with the control of appetite. The comparisons, which included 13 lean men and 10 obese men, offer one biological explanation for why children of obese fathers are themselves more predisposed to obesity. This work was supported by a grant from the Novo Nordisk Foundation - Endocrinology Research.